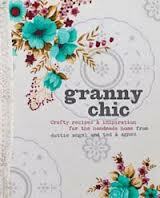 I received my Granny Chic book as part of a secret santa with some of my knitting friends - a lovely, lively bunch of crafty ladies who came along to my “learn to crochet” classes. 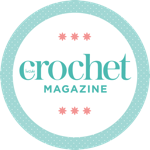 We’ve stayed in touch and meet regularly to knit, crochet, chat and laugh. As soon as I opened my gift on Christmas morning I immediately fell in love with it. To the passer-by I know that I don’t look like a lover of vintage, granny-chic, upcycling style, nor is my home a shrine to charity shop thriftiness and upcycling. 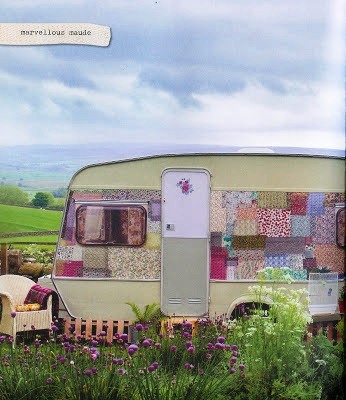 However, I absolutely love the 1970’s – the music, the fabrics, prints and patterns, the styles and the memories. I grew up wearing poncho’s and flares, listening to Donny Osmond, David Cassidy and the Jacksons, then moved on to Bowie, Brian Ferry and punk. What more could a girl ask for! This book brought back my fond memories of the 70’s. 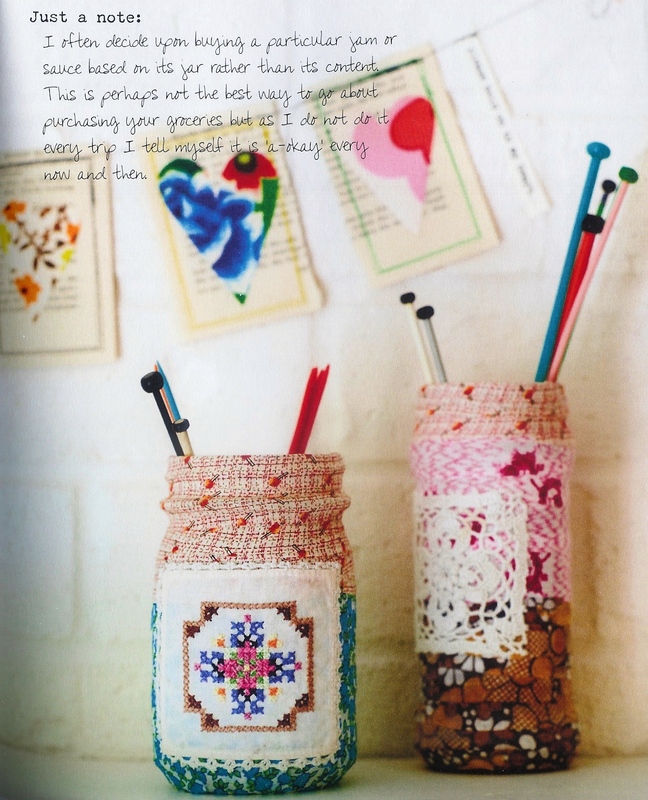 It’s crammed full of inspirational projects and images, from two very crafty and gifted ladies. We gain an in-site into their delightful, eclectic homes which will have you heading straight to your local charity shops or thrift stores to breathe life into those second-hand goodies and create your very own granny chic loveliness. There’s a wide range of 20 craft projects from table mats and tea cosies to bunting, scrap books and blankets as well as invaluable tips and words of wisdom on collecting, outdoor living and upcycling. 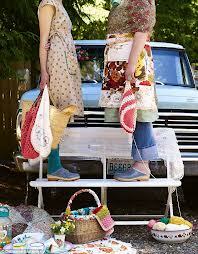 Projects encompass crochet, decoupage, stitching, papercraft and cross stitch - a little something for everyone. The only thing I didn’t enjoy so much was the writing style. For me, it’s a little “Kirsty Allsop” and very “Attic 24”. Everything’s “peachy”, “marvellous” or “rather lovely”, whereas I’m a little more straight talking and to the point. However, this didn’t detract in any way from my love for the book itself. “it will have you reaching for your rose-coloured specs and rustling in your vintage fabric stash to find your inner granny chic soul”. Now my inner granny is fighting to get out and I’m off for a mini-mooch around my local charity shop for some more inspiration.